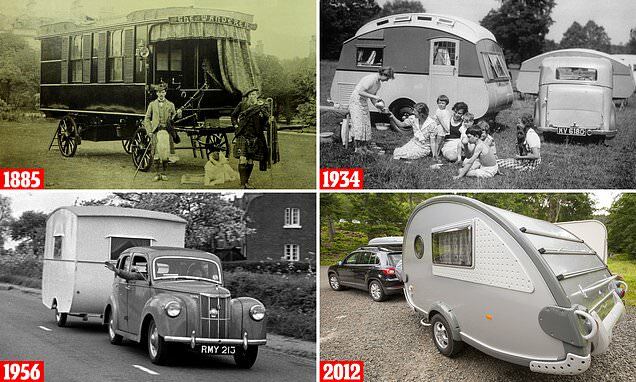 Britain’s love affair with the caravan has never stopped growing ever since the first ‘house on wheels’ was built in 1885 before a post-war explosion in mobile homes fuelled by more family-owned cars. An estimated one million Britons either own a caravan which is on the road, a motorhome or a caravan which is permanently parked at a camp. The industry is worth about £6 billion to the economy each year. According to the National Caravan Club, more than 130,000 people, including part time and seasonal staff are employed by the industry, with Britons spending approximately £2 billion and staying 50 million nights in caravans each year. It all began shortly before the start of the internal combustion engine era when a Scottish medic, Dr William Stables commissioned his 'Wanderer' caravan, which was hauled by two horses. For hundreds of years, there had been carriages hauled by horses - especially within the gypsy community, but Dr Stables, wanted to experience a travelling lifestyle and became the self-styled 'Gentleman Gypsy', creating a new leisure activity. Following the horrors of the First World War and with the growth in the number of personal motor cars, Britons were looking for new ways to spend their leisure time. Bill Eccles Snr of Eccles Motor Transport Ltd spotted a potential new and lucrative market and created the world's first prototype of a caravan specifically designed to be towed behind a car.